If you're interested in plants and their medicinal and daily benefits, gardening, botany and history, be sure to check out the 'Baraka: Blessing of the Garden' exhibition in Education City. Students from the Museum and Gallery Practice MA programme at UCL Qatar, in collaboration with the Qur’anic Botanic Garden (QBG) – a member of Qatar Foundation (QF) – are set to host the exhibition from 2 April till 2 May at Oxygen Park, in QF’s Education City. The exhibition highlights the use of plants mentioned in the Qur’an and Hadith, and their significance to society. The narrative of the exhibition aims to inform and engage visitors, and, encouraging them to think about how our everyday life involves and depends on plants, is divided into four categories: cosmetic-medicinal; edible; lifestyle; and fragrance. It is the first of its kind in Doha, and aims to inspire an appreciation of nature amongst the community members. The project is one of the core modules in the Museum and Gallery Practice MA program at UCL Qatar, a QF partner university, and is designed to provide students with the opportunity to acquire knowledge and professional skills in exhibition development. Mrs. Fatima Saleh Al-Khulaifi, Manager, QBG, said: "The Qur’anic Botanic Garden is delighted to be working with UCL Qatar Master’s students to organize this special one-month exhibition. It highlights our role in encouraging students to be more environmentally responsible. "Through the exhibition, QBG also aims to help show visitors the importance of caring for the environment and how, if plants are conserved, we will ultimately reap the rewards in everyday life." In addition to the exhibition, a series of fun and educational programs will be on offer to the public. 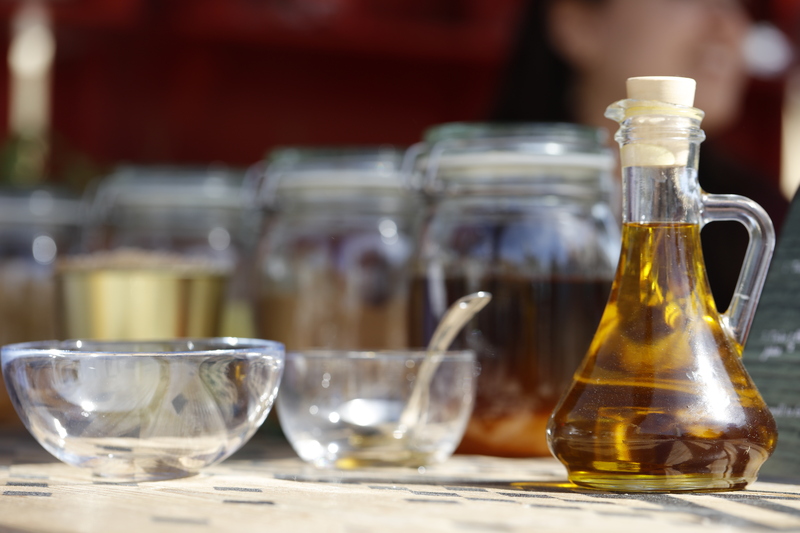 The 'Scavenger Hun' will enable parents and children to engage with the exhibition in a fun and interactive way, while ‘Olive Oil: The Golden Treasure’ will allow visitors to learn about and experiment with natural ingredients. Additionally, ‘Interactive Boxes and Flaps’ will encourage the community to explore the exhibition through multi-sensory stimulation, and ‘Gardening Activity’ will provide visitors with the opportunity to participate in a planting activity. 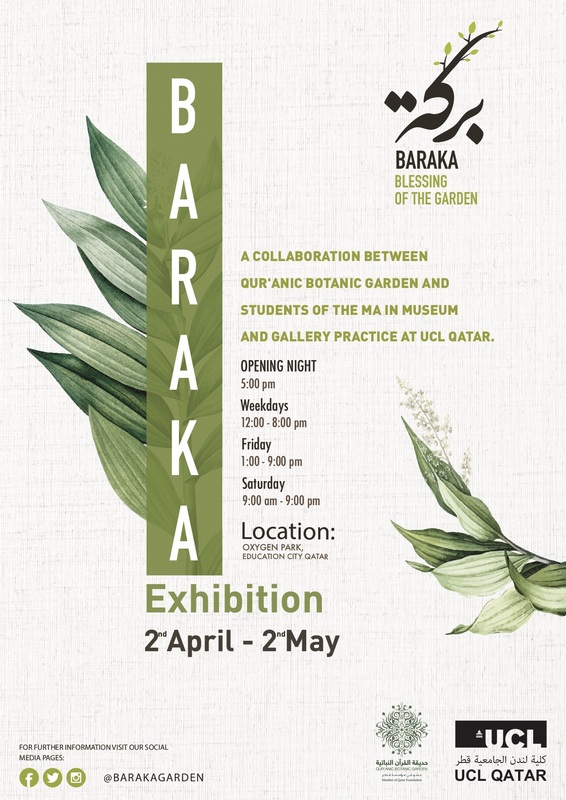 For more information about this exhibition, you can visit the following social media platforms: Instagram: BarakaGarden; Twitter: BarakaGarden; and Facebook: Baraka Garden.